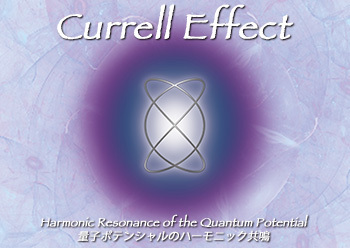 The new Currell Effect will begin at the end of March! As mentioned in the "Transformation Tools - Projects for 2015,” To insure that the participants get the optimum gains possible from CE, Christopher has revised the content and advanced the delivery of CE. Thanks to the advancement of technology, we will be able to provide CE session with more affordable price using a high quality yet portable headphone system, which provides the quality necessary to invoke the CE process. We will also begin the CE Practitioners Program this year, which allows easier delivery of the CE process. In order for its preparation, we will present a pilot program at the end of March. The reason for the pilot program is to provide a new CE with a new audio system, and also to conduct a short survey about the CE Practitioners Program. For this reason, we are providing the CE session for an affordable price, about 1/3 or 64% off from the CEX session. Only two people per session. Seats are limited so an early reservation is recommended. ※Please read "Transformation Tools - Projects for 2015" for the full announcement, including the details about the new CE and the CE Practitioners Program.